Another par 5. Drive down the left half of the fairway everything falling from left to right. 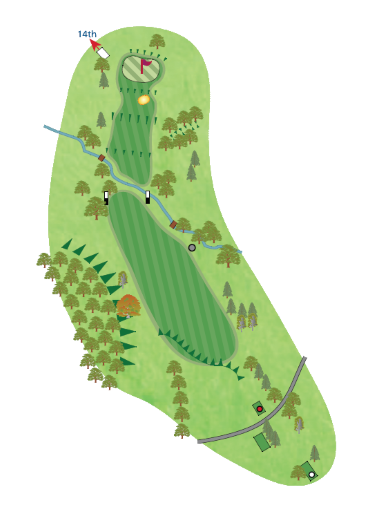 Your second shot is either a lay up short of the water leaving a medium to long iron into the green, or take on the narrowing landing area of the fairway with a fairway wood, which will leave a pitch into a green that is up hill. Again sounds easy but big numbers can easily be found.